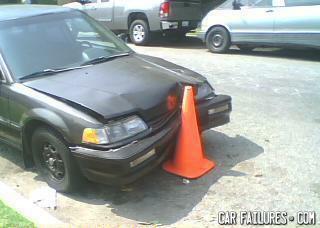 That cone was placed by Chuck Norris. Student drivers better think twice next time they face me. Japanese quality. What went on in the factory? No, that cone was placed by Chuck Norris' mother. Only she can tell him to get out of the car, and stop driving illegally. is this in the loony tunes?